Meet possibly the Philippines’ new professional dunker Darwin Cantong – SAMAHANG BASKETBOL NG PILIPINAS INC.
MANILA, PHILIPPINES – During the Samahang Basketbol ng Pilipinas Under-16 Pambansang Tatluhan at the Harrison Plaza last Sunday, October 21, the Philippines’ only professional dunker, David Carlos ushered out a colleague to showcase his dunks. 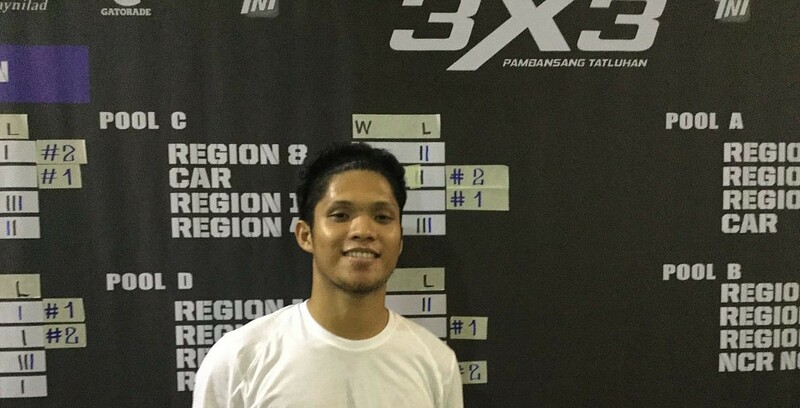 It was 22-year old Charles Darwin Cantong who hails from Dasmariñas, Cavite. Cantong who was clearly nervous to be performing in front of a different crowd missed some impressive dunks but that did not deter the crowd from cheering him on. Carlos patted him on the back. “First steps lang ito,” said Carlos who aside from participating in international Fiba events plays professional basketball in China. He worked long hours on his dunking and now that window has opened.